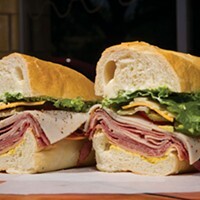 Who’d have imagined that you’d have to travel to Payson to get your lips around the best Cajun-Creole cooking in Utah? Surprise, surprise, surprise! Stroll into Boudreaux’s Bistro and you’ll find a comfy area in the front with some lounge chairs, magazines and Louisiana knick-knacks—a cozy place to hang out and wait for a table if none are available. Customers place their orders at the counter, and the food is cooked from scratch and delivered to your table piping hot. There’s nothing fancy here: Styrofoam plates, plastic bowls and cutlery are the order of the day, and there’s no alcohol. But, who cares? Especially with prices so jaw-droppingly low that you’ll feel guilty you didn’t have to shell out more cash for all this flavor. Boudreaux’s serves up a rich, hearty, medium-brown gumbo of chicken and sausage atop traditional white rice. It may be served in a Styrofoam cup or bowl, but it’s a thing of beauty. 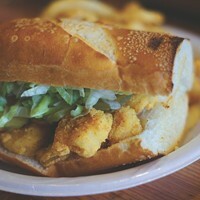 The po’boy sandwiches, too, are excellent. 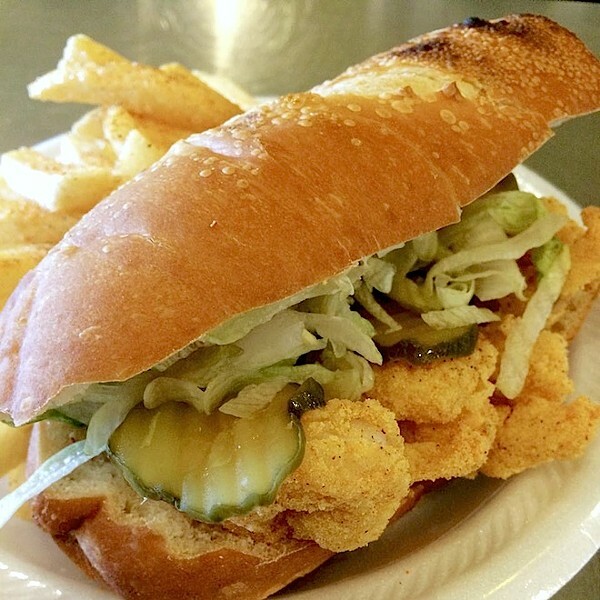 The fried shrimp po’boy ($6.75) is crispy, battered & deep-fried medium shrimp dressed with lettuce, tomato, dill pickles slices and mayo, with a choice of potato chips or french fries alongside. The shrimp Creole—tender shrimp in a tomato-based sauce with peppers and onions—also is terrific tasting, as is the chicken and andouille sausage jambalaya. A good way to sample a range of Boudreaux’s favorite dishes is with the Pick 3 plate. For a mere $8.25, you get a serving of three items—along with French bread—from a selection that includes shrimp or chicken Creole; crawfish, shrimp or chicken étouffeé; jambalaya; or red beans with smoked sausage. There’s also a Pick 1 plate for $6.25 and Pick 2 for $7.25. So, for an authentic taste of Louisiana, schedule a stop in Payson. Your taste buds will thank you—I gawr-on-tee!